Can you succeed in direct selling without doing parties? Yes! Building your business online doesn't mean you're not doing parties or other face to face venues. By all means if someone wants to host a party for you, meet up for coffee to hear more about your business opportunity, or ask you to do a live event why would you say no right? Building your business online means it's your main daily go-to action. You'll need to take daily action if you want to grow your business. It could be many things - blogging, making connections via social media, pinning, tweeting, making phone calls, live networking, or even hosting your own open houses. If you're not enthusiastic about making phone calls, live networking, and prefer to do direct selling online, here are some things to keep in mind. My favorite method is blogging. Hands down it's the best use of my time. Blogging is building your business passively. By this I mean you don't have that immediate interaction. Let's say you're calling someone you think might be interested in your direct selling business, you're making direct contact. Presumably, if you're calling someone you're using the warm market method which is taught by direct selling companies. 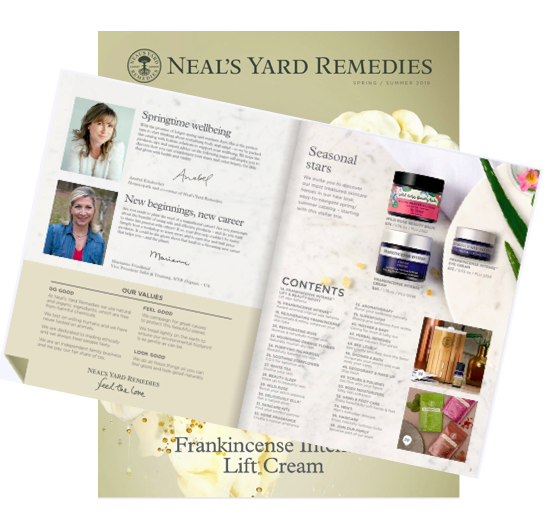 Direct selling companies are fond of using the FRANK list. It's basically a list of 200+ people you know, including friends, family, neighbors, and so forth. For new consultants, it's a good way to kick start your business. You're more likely to get that initial burst of sales, potentially adding new team members, and getting parties booked. But for others that don't want to go this route because of I've "been there done that" or prefer other methods, let me share why I love blogging so much. It's a passive method of attracting leads. You provide valuable content geared towards people looking for your type of products or business. Using keywords in your blog title that people are using to search for is a solid way of attracting leads for your business. Think of the last time you searched for something on Google and what came up? Once your articles populate on search engines they stay online permanently. With the right keywords and consistently providing valuable content, people will find your blog. The rest will be up to what they find appealing about your blog which decides if they make contact or not. I've built a large team solely from blogging with a previous company so I know it works. One of the best parts about blogging is the new friendships I've developed over the years. Facebook seems to be the most popular with direct sales consultants. Personally, there are things I'm not a fan of - being added to someone's group, invited to like a page, direct messages about a new opportunity, just to mention a few things. With a couple hours I can work on writing articles for my blog that will stay online for years. If Facebook isn't your thing, you can create or share your company's approved graphics on Pinterest. So eye catching and a great way to share your company's products. There's Instagram and others. Instead of joining a bunch I think it's a better use of your time to focus on one that works the best for you and build that audience. You can also place low cost ads (Direct Sales Aids starts at $5) on direct sales directories. You'll find them right here on my blog under Direct Sales Tips. If you have a budget for advertising, give it a try. You can always cancel if you're not getting a desirable result. The best thing about online marketing is giving different things a try and see what's your favorite and what works best for you. P.S. Want more direct sales tips? Subscribe to my blog or feel free to contact me. Today, shoppers are savvy. More and more people are aware of harmful toxins in skin care and personal care products. With safer choices, choosing natural and organic products, especially when the price points are reasonably priced makes it easy for people to ditch toxins and switch to products that are free of gluten, chemicals and other toxins. Choosing toxin-free products is good for people, animals, and our environment. Skin care, body care, shampoo, personal care products are used by everyone in the family. Consumable products have a great chance for repeat business especially if your customers fall in love with your products. Women can be very loyal to their personal and skin care products which is good business for you. This translates to monthly sales which will grow your business over time. I'd love it if I got a 25-40% discount every time I shop at my favorite stores, wouldn't you? 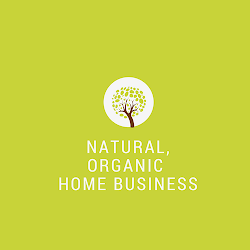 With my own natural, organic home-based business I'm able to save 25% on all the products I buy for myself right away and with potential of saving more and earning more. At the very least I save 25% on the products I love. It's good for me and my family and I have the flexibility of building my business from the comfort of my home. These days with practically everyone on their smartphones, you can build your business on the go. Direct selling is an individual business which means your income is based on your efforts. *commission varies which is based on leadership level. There are consultants signed up for personal product discounts or selling occasionally. And there are consultants that keep promoting up the leadership ladder. It's entirely up to you. Your success is entirely up to you but you'll always have the support and training from your team to help you become a leader, if that's what you choose to do. I love being my own boss and having a business that's flexible. It fits perfectly for a busy parent like me. I can put in more effort when my family schedule permits or pull back when family responsibilities come first. The flexibility is the best part with a direct selling business and why it's one of the most popular options for many stay at home parents. Direct sales companies are well known for their outstanding training and support. There's an entire back office "university" that any new consultant can tap into when you partner with my direct sales company. There are weekly calls, webinar training, training in person, and so much more. If you're willing to commit to training and leadership it's available for you. I've been a leader with a brand new company. Although I loved the opportunity but sad to say it didn't have the growth it needed to prosper. With my current direct sales company, it's an established company and continues to grow every single month. I've been a long time customer and have watched many women promote up the leadership ladder. The opportunity is very exciting! It's a new year, why not give something new a try. If having your own home-based direct sales business sounds intriguing to you, click on the image below and head on over to my business website to learn more. After you've checked out what the company has to offer, contact me as I'd love to send you some free samples to try. Click on image below to get started! *This post contains links to my direct sales business, independent consultant website. Where Will Your Direct Sales Business Be? As we're kicking off 2018, imagine where your direct sales business could be if you commit to building your business today. I'm planning on building my direct selling business with renewed and focused energy. I feel refreshed and energized from an eight day family vacation in Grand Cayman which I'm very grateful for the opportunity to visit. There's nothing like a Caribbean vacay to remind me why we all work so hard so we can go on dream vacations. What would happen if we commit the entire year to building our direct selling business in 2018? That's my challenge to my team. What would committing an entire year to your business mean a year from now? As I was closing out 2017 in the Cayman, I reflected on the year that passed, and what I'd do differently for 2018. Where would your business be in one year if you dedicate couple hours each day working in your business right now. By doing small, attainable tasks, you're more likely to reach your desired goals. Now that we are in 2018, the new year is a great time to start over. What are your plans for building success in your business? Whatever you didn't do last year you can hit the reset button and start over. Maybe you have urgent goals this year. If so, what would you do differently to get where you want to be at the end of 2018? List some challenges and what you're willing to do to meet those challenges. For me, time management is my biggest weakness. As a busy parent there's always something I have to do. If your ultimate goal is to have a business that offers flexibility and the financial means to travel or do whatever you want, what do you need to do? Let's start with time management and how to get the most done on a daily basis. "I don't have time" is what we tell ourselves when we don't want to do something. We have to decide to choose to do a task when we'd rather be doing something else. It's especially hard for direct sellers because there's no one telling you what to do. You'll be have to be the manager of your business and that requires a lot of self discipline. List one or two things that is business related commit to getting it done. Small, attainable goals are more realistic and you're more likely to feel accomplished. Getting it done. It's not easy to sit down and draft a blog post or making that extra phone call but it's necessary if you want to build a successful business. Decide to do it and commit to it. Instead of a long to do list, I'm more productive if I focus on one or two things. Small successes accumulate to bigger ones. Train your brain to think long term. Direct sales success is a long game and being patient isn't always easy. It's especially hard for people getting into direct sales thinking they'll make money right away. Few people make good money right away. Direct sales is easy to get started and can be rewarding for the right person but it's best to think of it as any other independent business. If you're selling hand made items online, you'll have to build your client base, marketing, and continue to do so as long as you're in the business. Be patient with your direct sales business. It'll take time sometimes longer than you might think to build up your customer base. Think ahead to 2018 or even 2019. Where would your business be if you commit to building your business today and every day until 2018? Here's to your best year yet! Until next time, keep on.